Hall's Landscaping is a locally owned landscaping contractor in Central Kentucky. Hall's Landscaping has been in business for 15 years located in Georgetown, Kentucky. 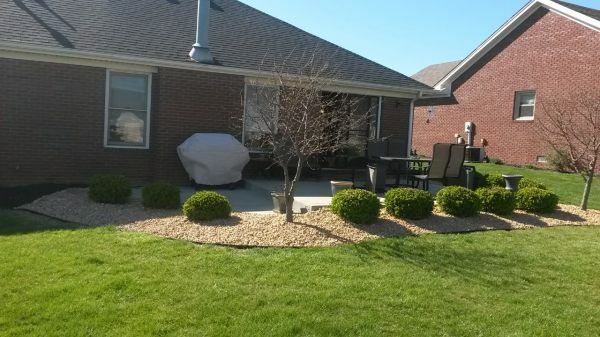 We can service your landscaping needs in all adjacent counties to Scott County. Tony Hall is a Certified Soil Scientist for the State of Kentucky. Researching soil conditions at homes for over 20 years. 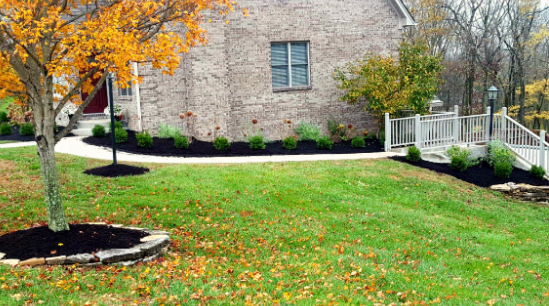 Hall's Landscaping will design landscaping beds for your home based on site specific conditions. Utilizing this method of plant selection will produce healthy landscaping beds that are vibrant and sustianble. All estimates for landscaping are free. We offer a wide range of services including design/cleanup of beds, mowing, patios, rock walls, retaining walls, fences, and paver hardscapes. Our services are affordably priced to suit your landscaping projects. Feel free to contact us for your next outdoor project. We'll be happy to meet with you at your convenience. Thank you for visiting our website and we look forward to hearing from you.